Democracy costs. To be sustained, it requires time, deliberation and constant vigilance. These costs are high enough. But some states are manufacturing additional costs to undermine our democracy. 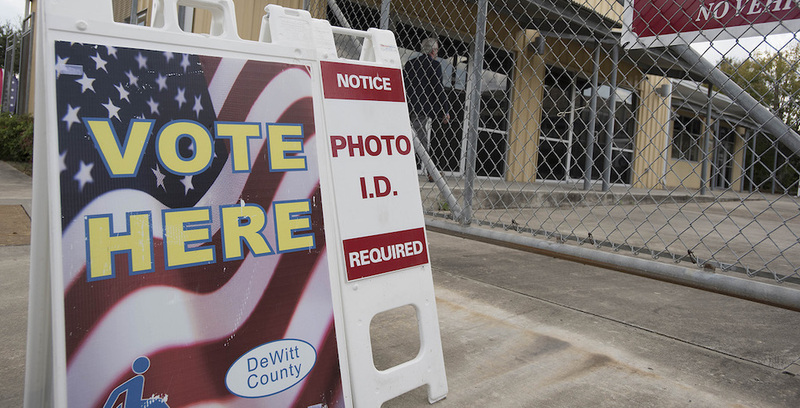 Texas’ dogged defense of its racially discriminatory voter ID law is a prime example. For the fourth time in three years, a federal court has declared Texas’s voter ID law racially discriminatory. The law prohibits voting for those without a narrow selection of photo IDs — primarily Black and Latino Texans. Multiple courts have sided with the NAACP Legal Defense and Educational Fund (LDF) and our partners to strike down the state’s draconian voter ID laws. On August 24, a federal district judge in Corpus Christi rejected Texas’ latest attempt to substitute its beleaguered photo ID law with a weakened but still discriminatory version. The court ruled that its latest incarnation, Senate Bill 5, retains the core architecture of its intentionally discriminatory predecessor, Senate Bill 14. Yet the state stubbornly persists in its racism, spending over $3.5 million as of 2016, to defend the Legislature’s work in court. Participation in our democracy should not require a membership card — certainly not one premised upon the myth of voter fraud. The district court debunked the myth of widespread in-person voter fraud, on which Texas relied to justify the bill. When forced to present evidence of such fraud in court, Texas could not. Neither should participation require such a high toll on public resources. Defending the right to vote has required a greater commitment of resources since 2013, when the Supreme Court disabled Section 5 of the Voting Rights Act (VRA). Section 5 allowed the federal government to preemptively block most discriminatory voting laws prior to enactment in places, like Texas, with documented histories of discrimination. The provision saved states the hefty costs of protracted litigation, and voters the irreparable loss of voting rights from discriminatory laws that died on the vine. When the Texas photo ID law was initially passed, for example, Section 5 blocked it. The law went into effect only after the Supreme Court paralyzed Section 5, allowing Texas to enact the strictest photo ID law nationwide. A brigade of civil rights groups and the formidable resources of the Obama administration’s Justice Department proved the Texas’ photo ID law was racially discriminatory. But threats to these inroads loom. Sen. Chuck Grassley, R-Iowa, has vowed to never hold a hearing to restore the VRA. The current Justice Department, led by Attorney General Jeff Sessions, abruptly changed course this past February, and is now devoting considerable resources to defend a law met with ire from every court that has reviewed it. And within two hours of the district court striking down S.B. 5, Texas Attorney General Ken Paxton called the decision “outrageous,” and announced his intent to keep the ruling from taking effect pending appeal. If Texas continues to lose, Texans may be required to pay out still more in steep attorneys’ fees. But to fully understand the vicious costs of S.B. 5, look no further than its potential effects on voters post-Hurricane Harvey. The storm destroyed or damaged an estimated 185,149 homes throughout the state, and destroyed, by one estimate, as many as one million cars in the Houston area — places where voters are likely to store identification. On September 5, a three-judge panel from the 5th U.S. Circuit Court of Appeals ruled that SB 5 can be enforced, pending appeal, to “minimize confusion” in upcoming elections. Many hurricane victims will inevitably have trouble providing the permitted documentation to obtain proper voter IDs. And at a time when they should spend their resources rebuilding their homes and lives, asking those voters to endure the burden of obtaining voter IDs may prove too much to bear. On September 8, LDF filed a petition asking the full court to rehear the panel’s decision to permit this discriminatory feature to continue. Texas voters should be immediately protected from this racially discriminatory and burdensome law. However, the court declined to rehear it. Several weeks ago, Gov. Greg Abbott announced that Texans who have lost or damaged their handgun licenses in the storm could temporarily receive a new replacement, and directed the Texas Department of Public Safety to eliminate the “burdensome fees to replace these important licenses.” No word yet on whether the governor will extend similar relief to help Texans regain their license to vote — a voter ID. And now, thanks to a recent injudicious, one-sentence-long U.S. Supreme Court ruling, Texas’ 2018 elections will proceed based on congressional districts that a lower federal court ruled were drawn to discriminate based on race. The failure to avoid this conundrum in the first place makes Texas a textbook case for why we must restore the VRA to its full strength. We must ensure that Texas is put under federal oversight. Court rulings finding the state’s law to be intentionally discriminatory make it an irrefutable candidate for this remedy. It is also high time we asked: How many times must the state’s election laws be ruled intentionally discriminatory before Texas stops this wasteful crusade? The fight in Texas is about the right to vote — a right the Supreme Court has held to be fundamental to preserving all other rights. Texans should decide whether they want their elected officials to fund a failing feud with justice or to invest in an inclusive democracy. As Texas’ litany of failed voter laws has shown, the cost of defending discrimination is simply too much.